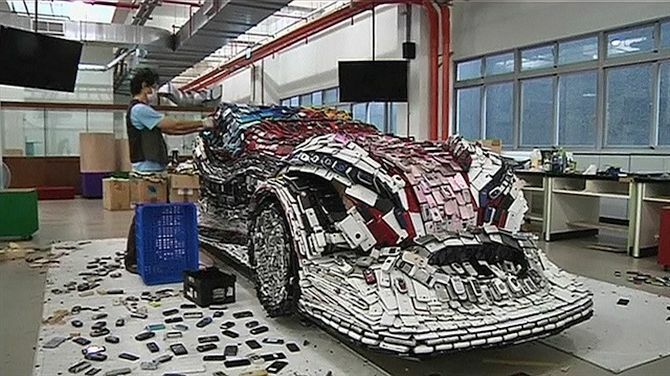 Lin Shih-Pao, a Taiwanese artist has built a life-size model of a Formula 1 race car from 25,000 recycled mobile phones. Intended to spread environmental awareness, it took the 53-year-old artist about four months to complete the unique project. It demonstrates how a pile of trash can be recycled and transformed into a piece of modern art. 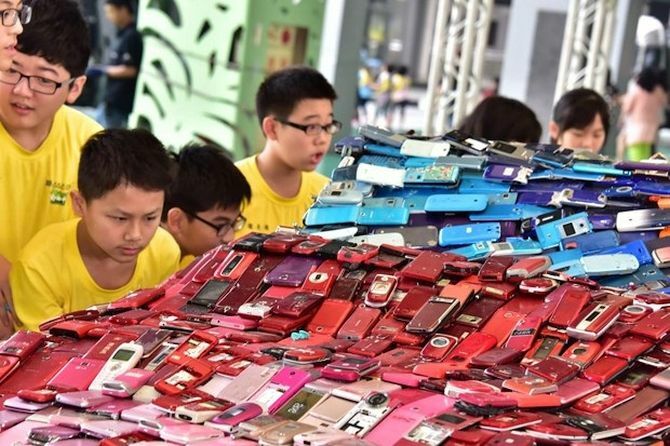 Lin Shih-Pao collected thousands of old and discarded mobile phones for the sculpture travelling for four years across the globe. The New York based artist spent more than $30,000 on the art car. 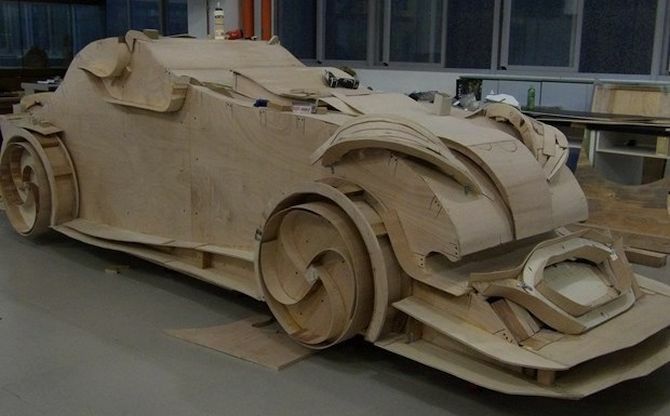 After accumulating the broken and discarded pieces, the artist attached them to a wooden frame in the shape of a car using glue and nails. With the mobile phones and the wooden frame, the sculpture weighs about two tons. 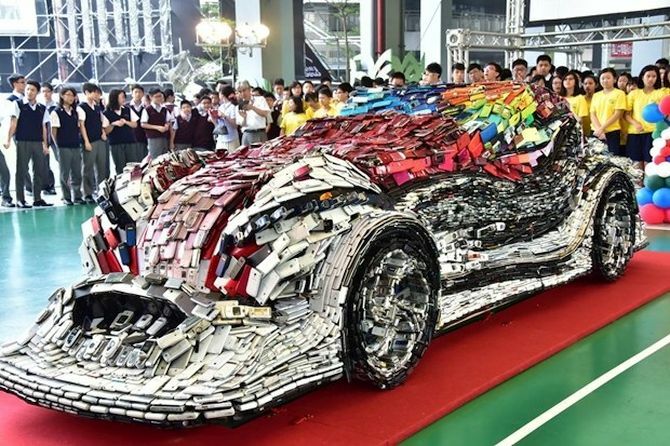 The art car was unveiled at Lin’s former high school in New Taipei City who was invited for the school’s annual celebration. 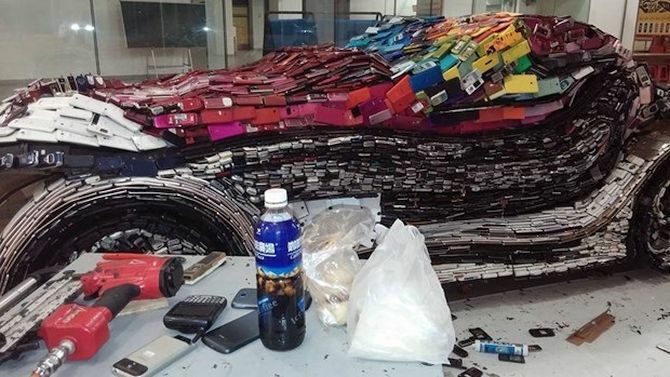 Few students from the school also helped the artist by collecting discarded mobile phones for the recycling project. Those who collected highest number of pieces were provided with better seats at their school’s annual concert. The art car has been named “F1 Zan Che” (Mandarin) by the artist that means “F1 Like Car”. 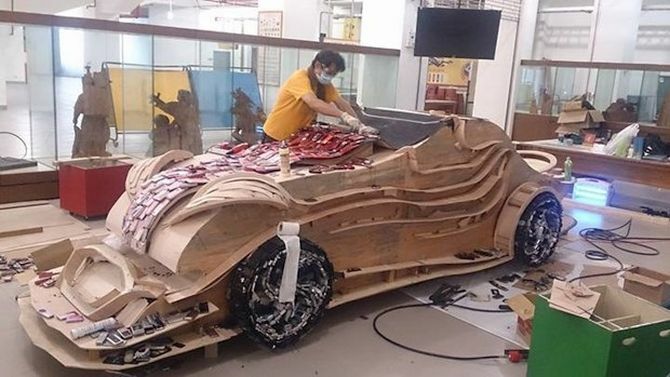 According to Lin, “F” stands for future, “1” for the hope his car will be the first of its kind to raise awareness about recycling high-class trash. “Like” simply refers to his hope that people will like his car, and be reminded of the importance of environmental protection.